Striata, a leading provider and innovator of email bill presentment and payment solutions, will be launching two new products at *FinovateEurope, which is taking place in London on 01 February 2011 – the Striata’s next generation interactive PDF bill solution and mobile one click payment. Striata’s new mobile one click payment solution is an industry first, bringing one click eBill payment to the ever growing mobile email market. Furthermore, Striata’s next generation interactive PDF bill solution will enable companies to deliver improved marketing capability, whilst enriching their customers’ email Billing experience. “Most banks and large organisations have developed eBilling solutions without user adoption in mind. Striata’s ‘push’ email billing solution focuses on user adoption and continually delivers record-breaking figures of paper turn-off. Our innovative one click payment solution meets the current and growing demands for mobile payment and our next generation interactive PDF bill solution’s enhanced functionality looks and works like a mini-website inside the PDF. It enables navigation, graphing and sorting of itemized entries and authenticated feedback forms,” explains Michael Wright, CEO, Striata. Striata’s mobile friendly email bill payment solution enables bill recipients to view how much is owed and conveniently make an instant one click payment directly from their mobile phone. Payment can be facilitated from any internet enabled device (e.g. Mobile device, webmail, body of email). With Striata mobile one click payment, there is no need for customers to enter payment details. Payment data is stored with the payment provider, and can only be used to pay a linked bill. Striata will be presenting a live demo of Striata’s new Interactive PDF eBill and introducing mobile one click payment at FinovateEurope in Feb 2011. Interested in attending? Visit www.finovateeurope.com and enter Striata10 as the discount code to receive a 10% discount off your ticket. 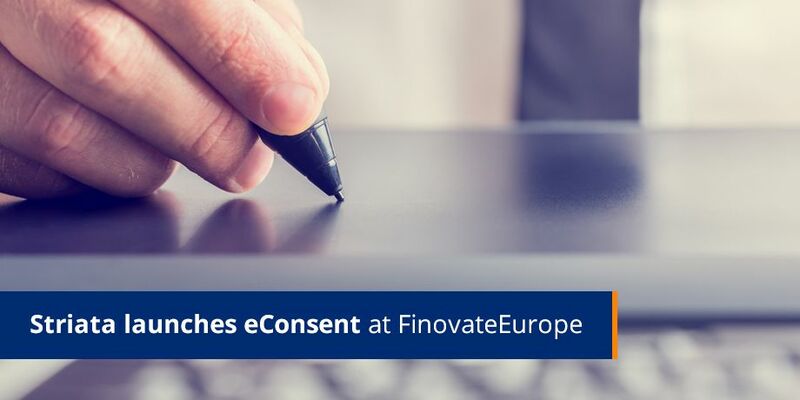 About FinovateEurope: FinovateEurope is a demo-based conference for innovative startups and established companies in the fields of banking and financial technology. Held in London, one of the world’s premiere financial capitals, the event offers an insight-packed glimpse of the future of money via a fast-paced, intimate and unique format. FinovateEurope is organized by Online Financial Innovations. For more information on the event, or to view videos of previous demos, please visit http://finovate.com/.